Bruce Perlmutter is a woodturner based in Red Bank, New Jersey. Perlmutter began learning the art of woodworking when he was a child, but he fully delved into woodturning in the 1990s, when he bought his first lathe. Today, he is a member of the American Association of Woodturners and the Jersey Shore Woodturners and creates hand-turned wooden bowls and art pieces full time. 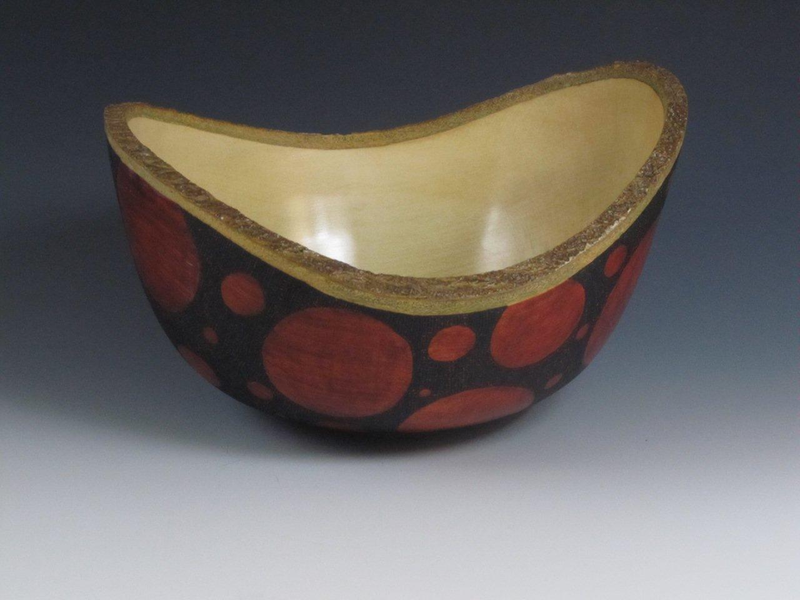 Bruce Perlmutter’s works feature organic shapes and attempt to bring out the natural beauty of the wood that he uses. He creates smooth, seamless bowls with accent rims, natural edge bowls that feature the true shape of the sides of the wood and hollow vessels made with matching finials. Equal parts form and function, Bruce Perlmutter’s woodturning creations are beautiful pieces to display in a home.